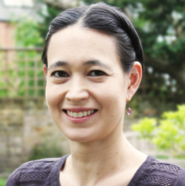 Laura Andreae obtained her undergraduate degree in Medicine at the University of Cambridge and completed her clinical training at University College London, both in the UK. She worked as doctor in various London hospitals, gaining membership of the Royal College of Physicians. She was awarded an MRC Clinical Training Fellowship to pursue a PhD with Andrew Lumsden at King’s College London, where she investigated the role of a novel family of neuronal adhesion proteins in axon guidance. Bitten by the science bug, she went on to the National Institute of Medical Research in Mill Hill, UK as a Career Development Fellow to study mechanisms of neuronal plasticity with Tim Bliss. She then returned to King’s to work with Juan Burrone on vesicle cycling during neuronal development. She is now a Lecturer in the Centre for Developmental Neurobiology in King’s College London, where her group focuses on the development of synaptic function, and how this can be disrupted in disorders such as autism. How do neurons in the brain wire up correctly? How is this process disrupted by disorders that affect brain development, such as autism or intellectual disability? We are interested in addressing these questions in the lab, in a variety of in vitro systems. Using electrophysiology and genetically encoded reporters of synaptic function, we focus on the way that neuronal activity regulates early synapse formation. We also investigate how this process is affected in various models of neurodevelopmental disorders, including human inducible pluripotent stem cell neurons generated from affected individuals. In collaboration with clinicians, we are working to try to link their studies in human patients with our preclinical data, in the hope of finding new treatments for these disorders.